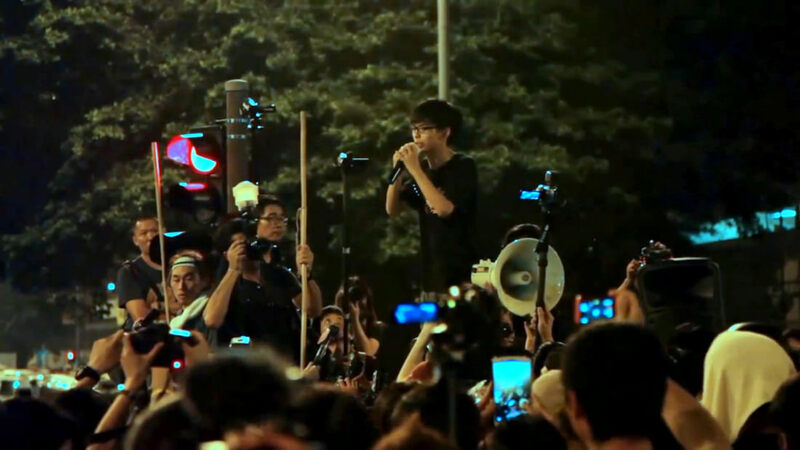 A teenager should not feel personally responsible for saving his homeland’s values and way of life, but this is the role Joshua Wong has voluntarily assumed. As the founder of the student activist society Scholarism, Wong has challenged the Mainland Communist Party’s plans to impose Party indoctrination in Hong Kong schools and its relentless efforts to undermine the “One China Two Systems” promise of HK democracy. Viewers will see what genuine democracy protests look like and how perilously high the stakes can in Joe Piscatella’s documentary Joshua: Teenager vs. Superpower, which screens during the 2017 Sundance Film Festival. To promote obedience, the Education Bureau of Hong Kong proposed, at the Mainland Party’s behest, the ominous sounding Moral and National Education (MNE) curriculum, which was essentially Communist propaganda combined with criticisms of democratic forms of government. 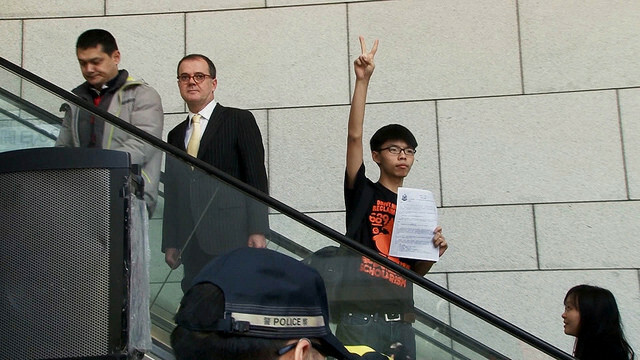 In response, the not quite fifteen-year-old Wong founded Scholarism and began coordinating a campaign of protests and outreach. Rather remarkably, the Mainland’s dedicated servant HK Chief Executive CY Leung gave a bit of ground, making the MNE curriculum voluntary, at each school’s discretion. Ironically, the partial MNE victory may have given Wong and Scholarism too much faith the Mainland’s political puppets would listen to reason when presented with the overwhelming will of the people. Tragically, that would not be the case during the 2014 Umbrella Protests. To say the Western media’s coverage of the 2014 demonstrations was inadequate would be a gross understatement. Frankly, Piscatella’s documentary is crucially valuable just for its lucid step-by-step chronicle of the Umbrella movement—so named because the demonstrators (the vast majority of whom were high school and college students) deployed umbrellas to combat police tear gas. For 79 days, the students hung tough—and when the police shock troops started using military-style tactics against them, the normally rail-thin Wong launched a dangerous hunger strike. As in Chan Tze-woon’s more verite (but equally valuable) Yellowing, the one thing that immediately strikes viewers of Teenager is just how shockingly young Wong and his Scholarism colleagues look. Both films will make you wish you could travel back in time to the Admiralty and Mong Kok to protect them. What is nearly as significant in Teenager is how explicitly and ardently Wong and his classmates identify as Hong Kongers, not Chinese. Piscatella follows a pretty standard documentary playbook, utilizing media footage and talking head interviews. However, many of his commentators are unusually insightful and honest in their analysis, such as the journalist who describes the current Beijing-Leung strategy as the shrinkage of One China-Two Systems to One China-1.9 Systems and then to 1.8 Systems, and so on. Even though everyone really ought to know how the Umbrella Demonstrations turned out, viewers will still get caught up in Teenager’s narrative. It is a highly compelling, emotionally involving film by any standards. There is no false optimism, but Piscatella leaves the audience with some hope, once Wong explains how he and his fellow activists have learned from the mistakes of 2014. If you want to protest, protest Xi Jinping and CY Leung (frankly, this film could very well be why the festival was hacked). If you want to see a great doc, make every effort to see Joshua: Teenager vs. Superpower when it screens again this afternoon (1/22) in Salt Lake and Wednesday (1/25) and Friday (1/27) in Park City, as part of this year’s Sundance.